Welcome to the Burushaski Language Documentation Project! The materials on this website are the result of a project funded by the National Science Foundation’s Documentation of Endangered Languages Program under the title Archive of Annotated Burushaski Texts . 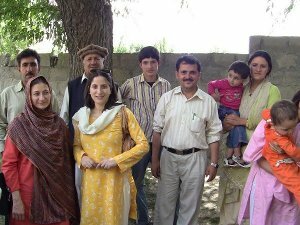 The primary outcome of the project is a collection of high-quality digitized audio and video recordings of oral literature from different, significantly threatened, regional varieties of the Burushaski language spoken in Hunza, Nagar, and Yasin in Pakistan and Srinagar in India (Click here to access the digital collection). A secondary outcome of the project comprises pedagogical materials for language-learning purposes (click on the data catalog and word lists). To know more about the orthography conventions proposed for the language, click here. Note: This website is updated at regular intervals. Please come back to check what’s new on the site.